As our dearly beloved HGS has matters to attend to, your friendly neighborhood PnP officer is here to bring you news of the recent chaos that we refer to as Cosfest XI. 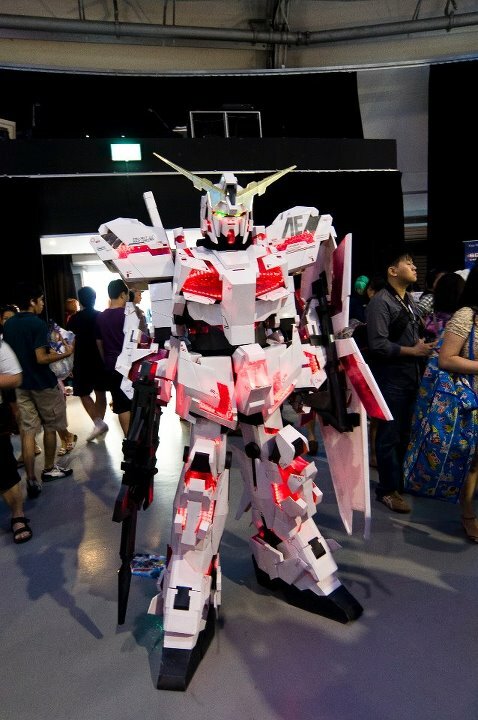 As the longest standing and largest event of its' kind in Singapore, Cosfest has a reputation of being the main event of the year for cosplayers and con-goers. 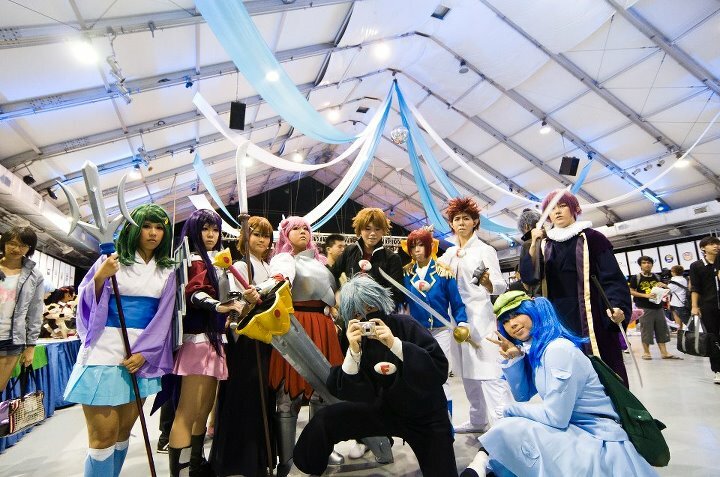 In association with experienced event organizers and large-scale competitions, Cosfest is an event with something for everyone; especially for the fans of cosplay superstar, Reika Arikawa, who was invited from Japan to join us in Singapore. Enthusiasts had a chance to meet Reika as she arrived in Singapore on Friday the 6th, and likewise sent her off after a successful event last Tuesday the 10th. 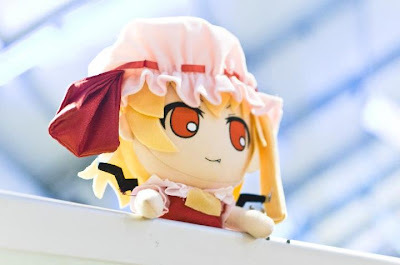 Flandre looking over her Cosfest empire. 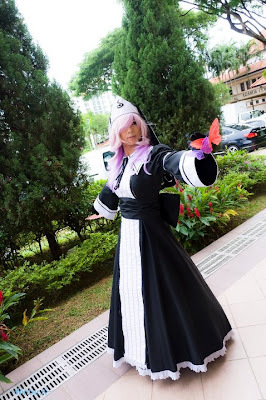 As a fellow cosplayer mingling in the crowds, there are subtle trends to be discovered; both in the ratios of photographers to cosplayers, and the quality of cosplays we are seeing in Singapore. Increasing amounts of photographers, we choose to think, is a definite sign of added understanding and appreciation of what we do and love. The fact that overall quality of cosplays has also seen a rise is further proof of this. However, what makes an event the most enjoyable, is the mandatory catching up with friends, meeting new people and letting loose (read as going crazy) in general. 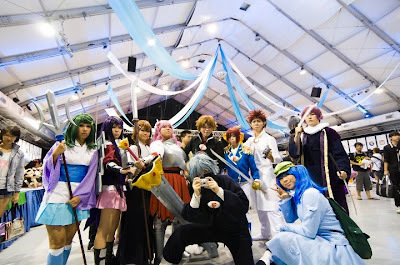 Baka testo~ Our very own VAS cosplay team. At the VAS booth right by the hall door, it was rather difficult to catch a good glimpse at all the stage action. However, that didn't diminish the excitement of the performances in the slightest. Even from my lofty perch on top of a chair right at the back, the effort, time and funds invested in the final stage production was obvious. Of the various countries competing, it was definite that they were aiming for more than just the titles and prize money. From past interviews and experiences, each and every contestant will give that heartfelt sigh of satisfaction, remembering that they once got this far, and now will keep the fruit of their labor in the form of new bonds and fond memories. Overall, in the eyes of this cosplayer and con-goer, an irreplaceable experience, and job well done; both to the organizers of Cosfest XI and all who attended, cosplayers and photogs alike.